Should you try a DEXA body scan? If you're looking to track your progress towards leading a healthier lifestyle, you may benefit from a DXA (DEXA) scan. 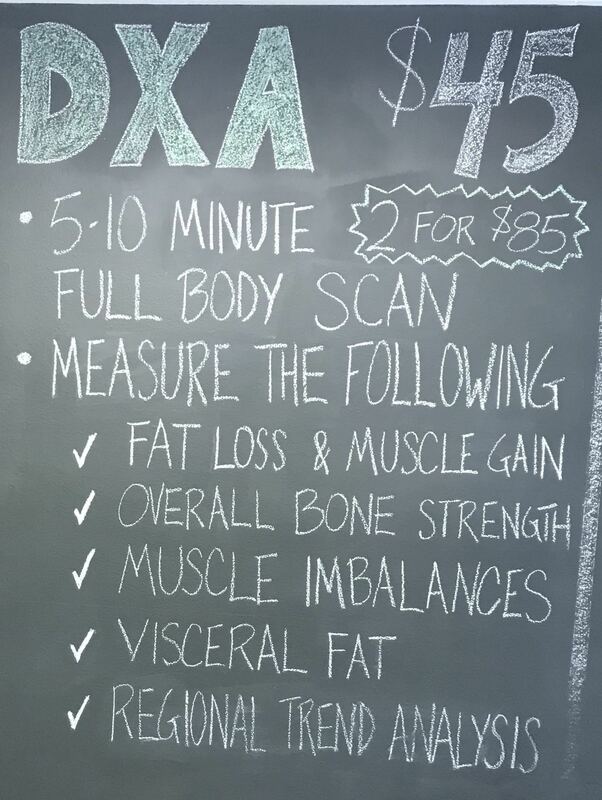 Unlike your bathroom scale that shares only your bodyweight and doesn't differentiate between fat, muscle and bone; a DXA (dual-energy x-ray absorptiometry) scan will help you understand your overall body composition. This highly accurate test uncovers your bone density as well as the percentage of your body weight that is fat vs. lean (muscle) tissue. In today's episode I share my experience trying the DXA scan and how the test compares to the experience of assessing your body fat percentage with a bod pod test. Don't have the time or cash for either test? I also share an at home body fat percentage test you can complete. 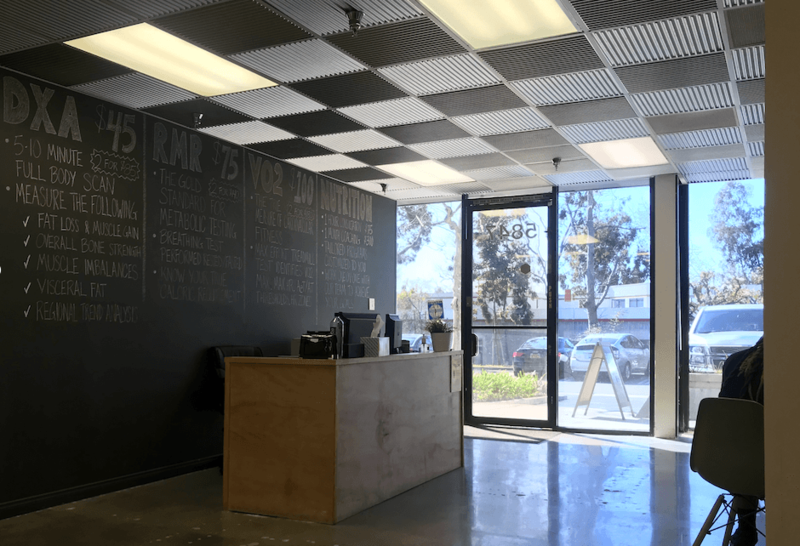 My DEXA scan took place at Bodyspec in Culver City, CA. While this was my only experience having a DXA scan, I thoroughly enjoyed it. The staff I interacted with before, during, and after my dual-energy x-ray absorptiometry scan made the experience stress free and dare I say fun? Maybe getting your body composition tested doesn't sound like a fun thing to do, but it was definitely fun for me as a biology and fitness nerd. Did I mention I'm a biology and fitness nerd and not a photo nerd? While I may have really enjoyed the photography classes I took in high school (so much so that I still have 90% of my darkroom set up at my parents house much to their dismay as they try to sell their home now that they are empty nesters...), I think the photos from my visit confirm beyond a shadow of a doubt (is that a photography joke? I feel like it could be...) that I will never win any Instagram contests. But we're not on Instagram today so I'm going to show you whether you want to see them or not! From the inside looking out! Bodyspec offers several fitness assessments in addition to the DEXA (DXA) Scan. Whether you can tell by this pic or not, the Bodyspec facility is clean and actually well lit. I just love showing off/flaunting the Cali sunshine and great weather whenever I can so that explains the faux pax of this pic focused in on the window vs. the Bodyspec desk. It's highly recommended that you schedule your appointment in advance and I definitely saw when when I arrived at the facility. This body assessment company is the least expensive for DXA scans by far (as in at least $100 dollars) and they were not only fully booked the day I came in, but turning away callers looking to sneak in or delay their appointments. 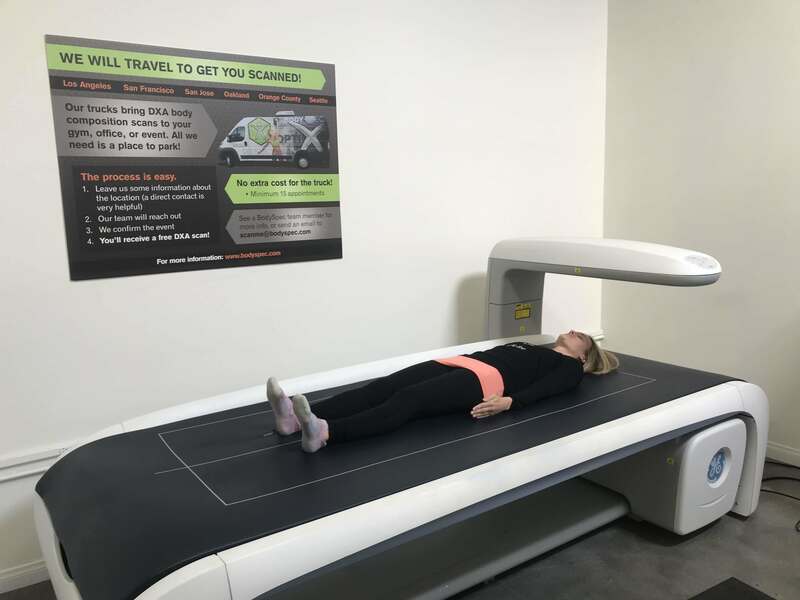 DXA scans aren't the only thing you can get done at the BodySpec facility, however, this pic shares a great summary of the reasons to consider a body scan there pretty well. 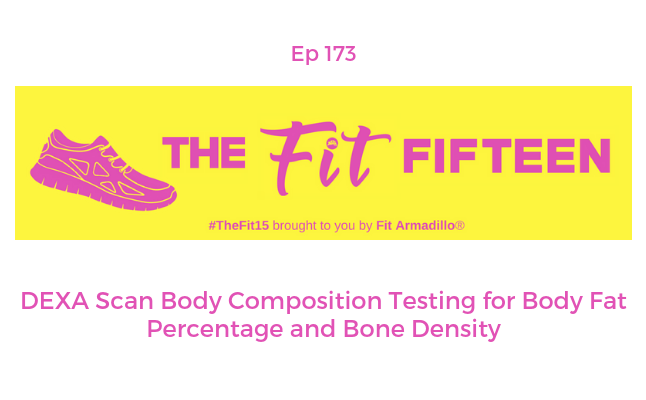 It's inexpensive, faster than an episode of The Fit Fifteen podcast show (even when I do stick to my intended fifteen minute episode length), and helps you get a very accurate picture of your body composition. Not only can you use multiple scans to understand your fat loss and muscle gains, but you can also use it to assess your overall bone strength, muscles imbalances, and visceral body fat. So you've made it past the waiting room. Then what? Actually, if you don't forget to wear yoga pants like I did, you are good to go! (I'm really not sure why I wore real people pants this day, but I think it had something to do with the fact that I was hanging out with the super cool Pernilla of Equipsy Performance before my body scan appointment. I mean, I needed SOME added motivation to deal with Los Angeles traffic! You do need to take off your shoes and jewelry. One thing I learned during my visit is that I wear a lot more pink than I thought (it was 3 days before Valentine's Day when I paid BodySpec a visit...). But seriously, this experience was FAR easier than my body pod body composition test I did a few years back (check out the waaay old post HERE). I didn't need to wear a swim cap or sit in a device that looked like it may take me off to space. All I had to do was lie still and flex my feet. In fact, if you check out my pic, you may think I was sleeping. Or at least, that's what you should tell my boss. Besides, who can take a 5-10 minute nap? I definitely can't. After the scan, I enjoyed chatting about my results which were ready pretty much as soon as I left the scanning room (I did change back to my jeans, but I think the scan was already completed). If you want to take a peek at what a scan looks like head HERE to get a visual on the results you heard about during the episode. So what do you think? Will you head to get a body assessment soon? I'd love to know! And if you can't do an in person test, you can can head HERE for a home assessment. It's not as accurate as a bod pod or DXA scan, but it's something to get you started and definitely more motivating than just relying on your bathroom scale. Speaking of that, if you're looking for a fitness challenge where results are guaranteed you care more about changing your body composition than the number on the scale, you are invited to head HERE to save your spot in my next Drop 2 Sizes Fitness Challenge. Am I sleeping or getting my DXA Scan? Only I know for sure! Your @TheFitFifteen #PodcastShow host @FitArmadillo got her #BodyFat tested. Learn more about her #DXAScan experience!